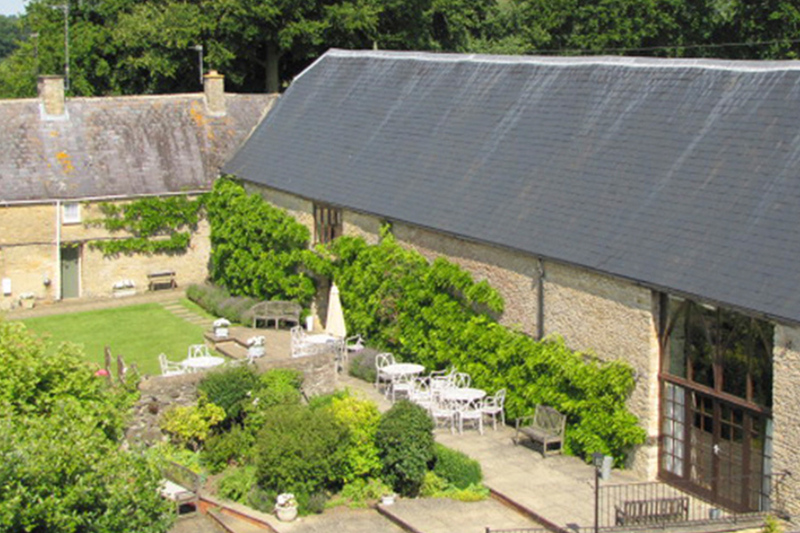 Kearney’s have been the resident caterers at The Great Barn, Upper Aynho Grounds near Aynho, since 2000. This fruitful partnership with The Great Barn has enabled many successful events to take place and Kearney’s Catering is delighted to be associated with this beautiful venue. 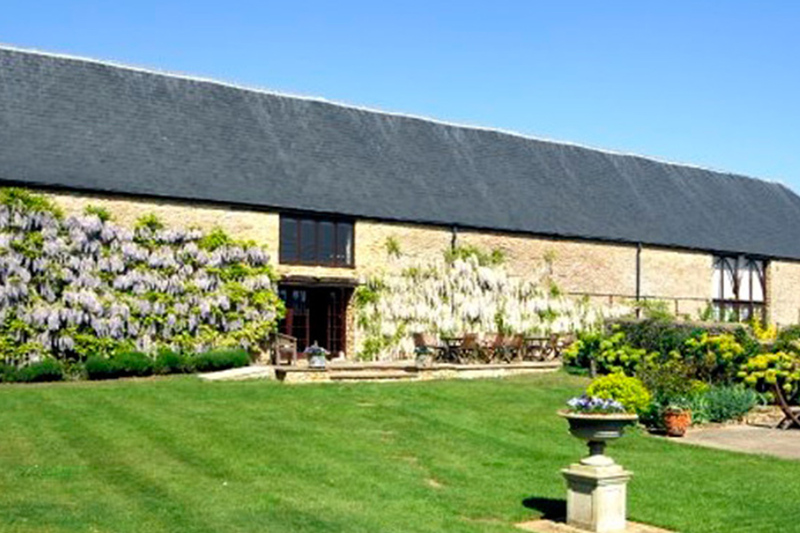 The Great Barn is a stunning example of an 18th century stone barn that was converted by the Stephenson family in 1986. It is set in a landscape of rolling wooded hills on the Northamptonshire & Oxfordshire borders. We have used The Kearneys several times over the last 10 years for big birthday party lunches and for our daughter's wedding. We have always found them to be very reliable and helpful. Their food is of the highest quality and their service is impeccable. We wouldn't have a family event without booking Kearneys first. The food ( canapes, wedding breakfast and evening pig roast) was absolutely incredible! The whole day went swimmingly well. Thank you to you and your wonderful team. Back in 1770, the barn was originally constructed as farm storage buildings as part of the Cartwright Estate. The barn was sympathetically converted by the Stephenson family in 1986 to retain much of its original charm, along with architectural features such as arrow slit windows, two foot thick natural stone walls, open log fires, exposed beams and minstrel galleries. Decoration of The Great Barn includes original historic tapestries based on the theme of King Arthur and The Knights of the Round Table. The Great Barn has a gothic feel that many venues are unable to provide. 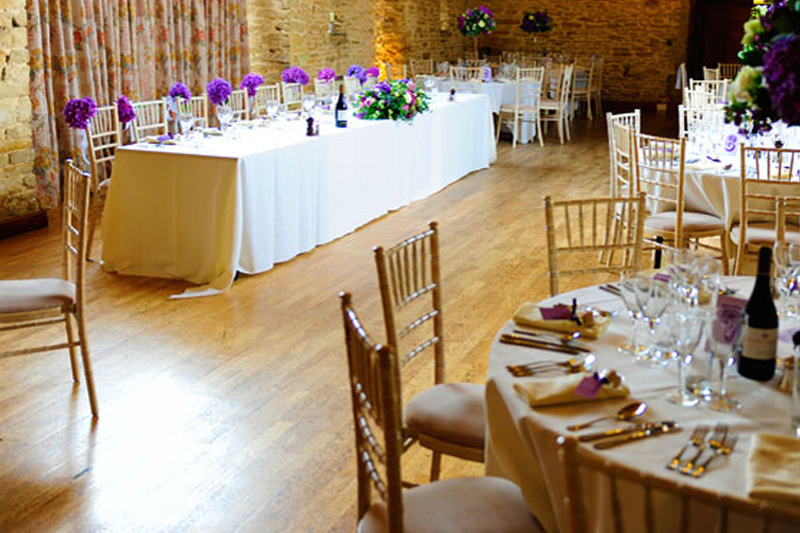 The Great Barn comprises The Aynho and The Croughton Room that are both licensed for Civil Ceremonies. The Croughton Room is also the main dining and dancing area with its natural wooden floor. Once the ceremony is finished, guests make their way through to the Aynho Room for drinks, canapés and photographs whilst The Croughton Room is prepared for The Wedding Breakfast. Both barns have beautiful exposed beams and arrow slit windows with the Aynho Room boasting two open log fires. There are two minstrel galleries, one small one in The Croughton Room and a larger one in The Aynho Room. These galleries make excellent areas for photographers to take large group photos and for quartets to perform during the event. The Patio Room, adjacent to The Croughton Room, faces out onto the patio area and gardens belonging to the barn. The Patio Room is also available for use for weddings and private parties. It is an ideal location for children to sit and eat as well as be entertained. With its traditional flagstones and natural stone walls, The Patio Room is an ideal addition to the Croughton and Aynho Rooms, if required. Huge thank you to Kearney's. From our first planning Kearney's skill and passion for food is obvious. Professional service - food served piping hot and delicious. For further information about The Great Barn and the services they offer, please visit their website by clicking on this link.